With consignments already coming in from Europe and across the United States, Ritchie Bros.' Feb. 2018 Orlando, Fla. auction is building momentum. 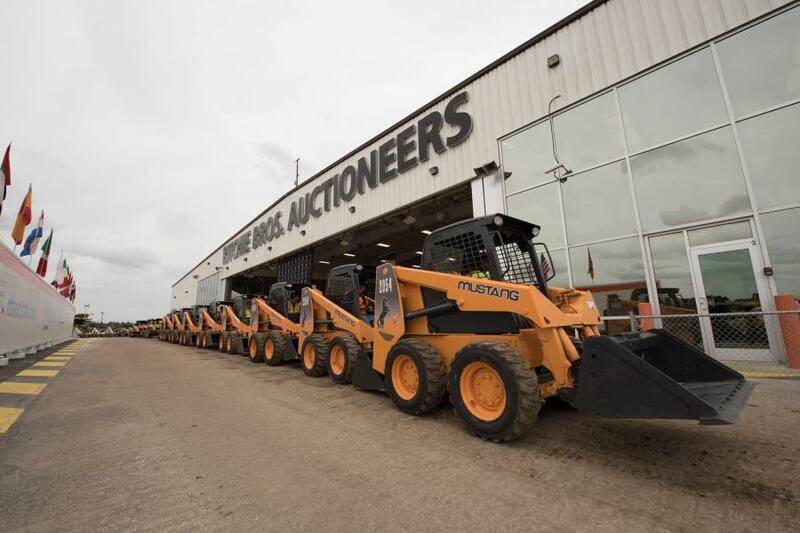 Last week the company held its fourth and final Orlando auction of the year, selling more than 2,150 equipment items in a single day and attracting the site's largest crowd ever outside of its record-breaking February auctions. With the final auction complete, the Ritchie Bros. Orlando team has turned its full focus to its 2018 event. "It takes a huge team to pull off an event like Orlando; it's all hands on deck," said Jeff Jeter, President of U.S. Sales, Ritchie Bros. "Our sales team sources consignments from customers around the world, our operations experts inspect and ready the assets for sale, and our marketing team delivers a massive global buyer base, all to ensure our consignors achieve the best results on auction day." Onsite, dedicated financing support with Ritchie Bros. Financial Services, giving buyers more spending power. Equipment owners interested in consigning equipment to the February 2018 Orlando auction can contact +1.855.331.5757. For more information about the auction, visit rbauction.com/Orlando2018.